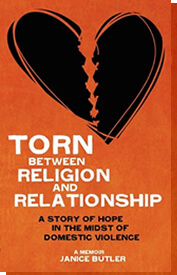 ‘Torn’ is the true story of Janice, a Kansas City woman that struggles between staying in an abusive marriage and keeping her relationship with God. After two failed marriages, Janice meets Robert, a guy with a lot to offer her and her two children. But when the partying, the other women and Robert’s attitude towards her turns out to be more abusive than the others, Janice begins to waiver in her religious beliefs and focuses on not losing another husband. She tries to hide her bruises from her family, especially her over-protective twin brother (John), who suspects something is wrong. When Robert’s abuse becomes too much to handle, she gives up, but Robert decides he doesn’t want to let her go. Janice must once again learn to put her faith first and not worry about a marriage that wasn’t meant to be…it’s not going to end the way you think.